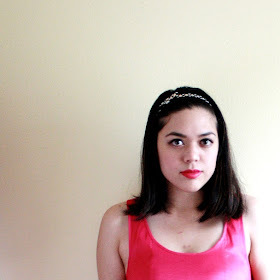 Here's the second part of my latest Swap & Style with Katrina! 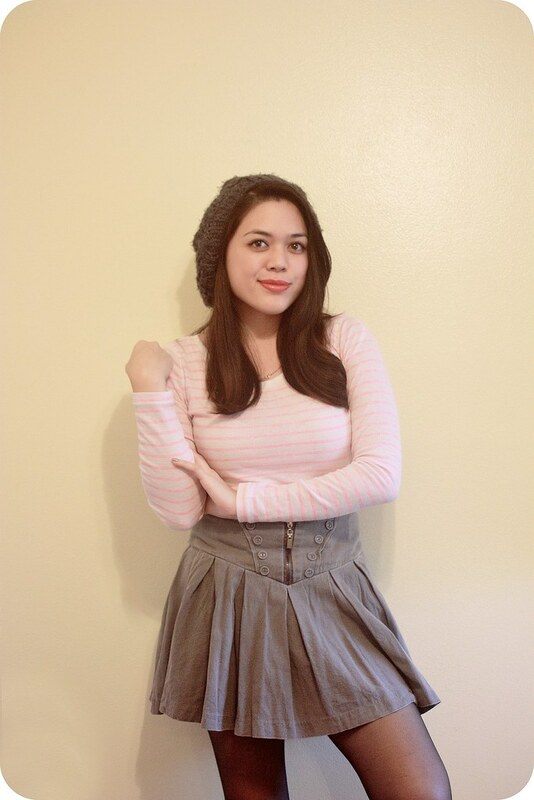 If you looked at my t-shirt and sweater stash in my dresser, you'd see my weird obsession with striped knits. Tees, sweaters, a romper, a couple of dresses--mostly black and white (adventurous, I know). So I was ecstatic when I opened Katrina's package and saw that she sent a striped tee, but in a neon pink! Finally, some bright stripes to play with (because I'm too chicken to buy some for myself). I never knew how to wear them...until now. Turns out it's pretty easy to wear brightly colored stripes! You just have to pair it with a neutral. 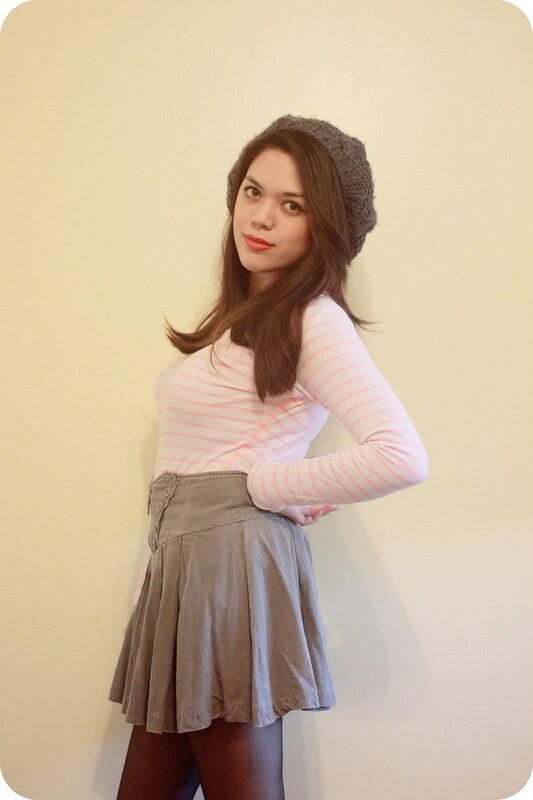 I wore it with a gray skirt, black tights, coral pink flats to match, and a gray beret. It was a casual weekend outfit I wore while running around town. I love how Katrina styled it! She knotted the front and paired it with a gorgeous black skirt. It looks so casual yet glamorous at the same time! The red lip is also a perfect touch. 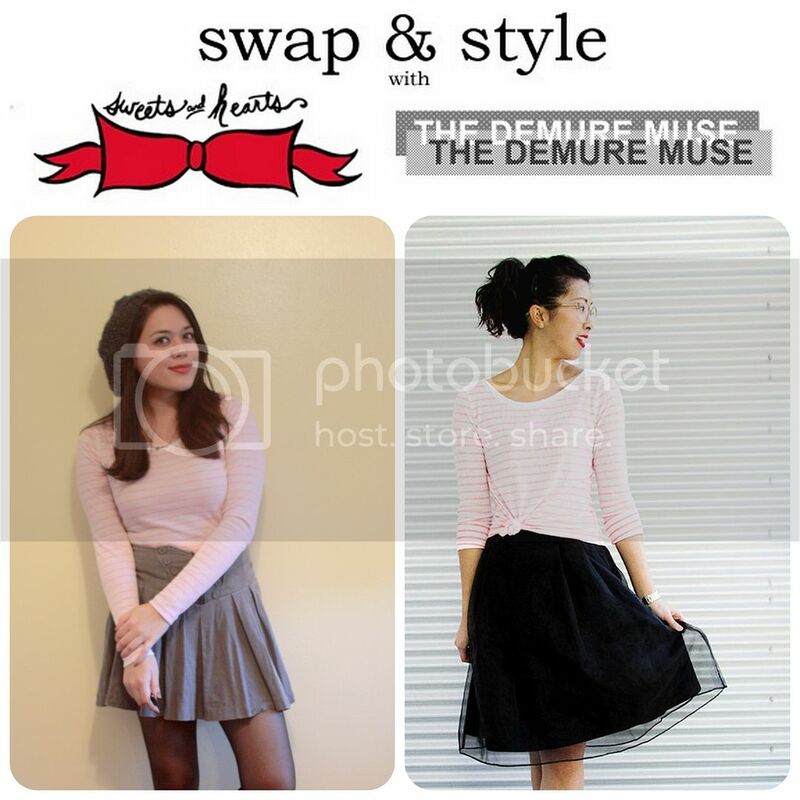 and check out our past Swap & Style posts!